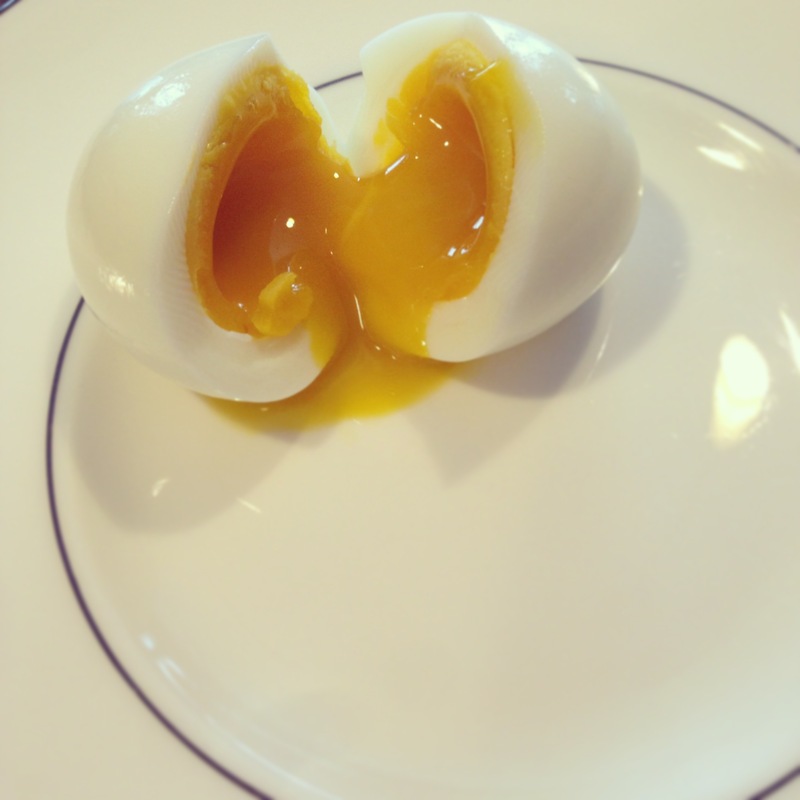 This is a mini-post – a simple recipe for those on a quest for the perfect soft-boiled egg. I love eggs and my favorite way to eat them is soft-boiled or poached and the added bonus is that making them does not require oil or butter + I love yolk dip-ability. 😉 Before now, I rarely bothered making them soft-boiled because every time I tried, the white part would either be undercooked or I would just end up hard-boiling them. Fun fact: The official name of the egg-white is “Albumen”. Sounds a little gross but I’m not sure why. Sounds alien. And poached?? – forget about it! It’s still a mystery to me. I just can’t get it right – always looks like straciatella soup when I’m done. My younger sister Bianca is a great cook but will sometimes call me to remind her of a method or recipe. Turns out she has a thing or two to teach me too. The other day she says to me, “Hey, I can make the perfect soft-boiled egg” . Its as good as poached with its runny center, perfect for dipping buttered toast, while the white is perfectly firm. I tried her method and she was right, it was absolutely perfect – hence the name of this post. So, I know this method is probably only a revelation for me and people under 15 years of age but when I am excited about a recipe that works out well, I have to share it. Although, I also think that if I didn’t know how, then there must be other closet “I don’t know how to make soft-boiled eggs” people out there or some poor blokes living with sub-par soft-boiled eggs. Well, you needn’t have to live that way anymore. Once your water is boiling, gently lower your egg (shell on) into the water and cook at a gentle rolling boil for exactly 6 minutes. Make sure eggs are mostly or fully submerged. Once the 6 minutes are up, remove from heat, dump the boiling water and refill the pot with cold water. Let the egg cool down for about a minute so you can handle it. Remove from water and gently crack the shell on a flat surface or with the back of a spoon and again, very gently, roll to crack and loosen it from the egg. Remove all traces of shell and serve! 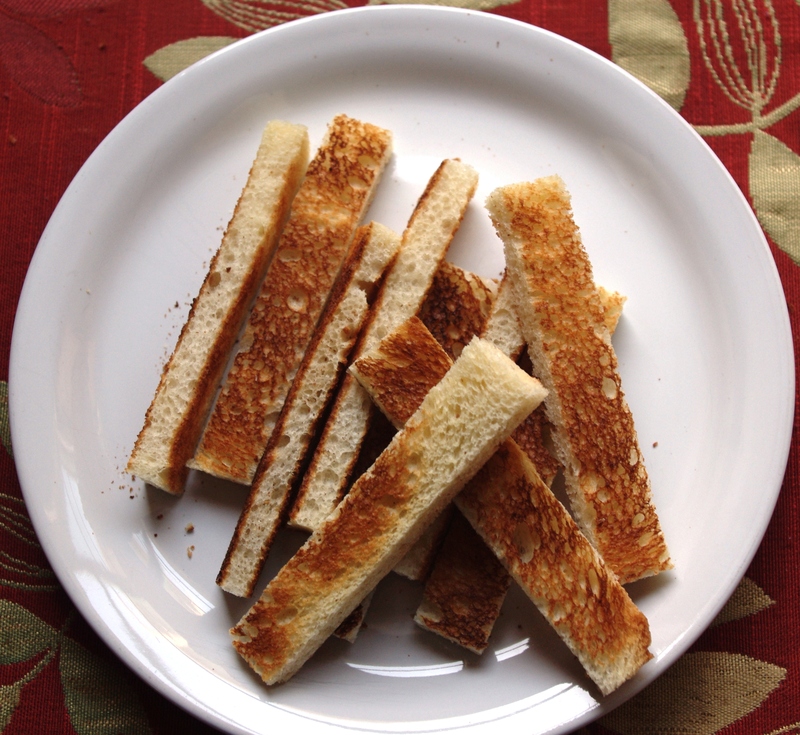 I like to serve mine with buttered toast cut into soldiers meaning that you cut the toast in 3 or 4 length-wise, making dip-able bread sicks.